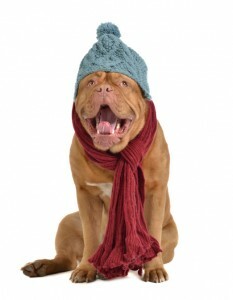 No matter what part of the US you live in, giving your dog his or her daily dose of exercise can be a chore at times. When your pup looks at you like, “what’s next?” and the weather is not conducive to outdoor activities, there are always other options. 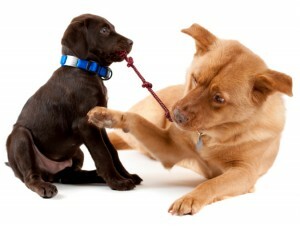 Arrange a doggie play date with a close friend or friends. You may want to be sure that the host has dog-proofed their house, has ample room for play, and that all dogs attending are spayed or neutered and up-to-date on vaccinations. Also, make sure the dogs are introduced properly and have similar temperaments before play. 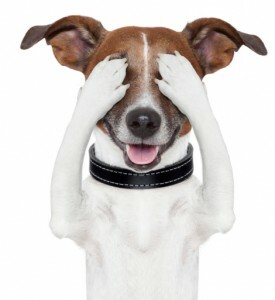 Hide-and-seek with your dog? Of course! Use the “stay” command, so you can hide. Once you are hiding, command “come” and once they find you, reward them with their favorite toy or treat. This can be done over and over until your dog is tired. If your dog isn’t so familiar with commands, put him or her in one room of your house (don’t forget to shut the door!) while you hide treats in the other rooms to find. Just make sure to remember how many treats have been hidden! Have a deer or elk antler in reserve and only bring it out when the weather calls for it. This will keep your dog preoccupied for a while and additionally carries other health benefits. Drop your dog off at a reputable doggie daycare center once or twice a week. This will give your dog the opportunity to get out of the house and exercise. Plus, socialization is always important – your dog needs friends, too! Dress up your dog and take silly pictures using your phone’s camera. Post pictures to your social media accounts and give your friends a good laugh. Better yet, take a video of them romping around, totally caught off guard wearing all their new clothes. Find a flashlight. Turn said flashlight on. Shine on the floor; see if your dog reacts! Many will chase this bright spot on the floor for hours, if you let them. Try to incorporate some training skills like boundary training! This blog Shepped does a great job and showing the steps involved into training your dog in the arts of recall and boundary training. And a final, old fashioned game — tug of war! What dog doesn’t love giving his human a challenge? Just be sure not too play too rough, and let your dog “win” some rounds, too! Whether the days are too short, too cold/hot, too windy or too rainy… there is always something new and interesting to do. Daily attention and exercise is just as vital to dogs as it is to us. It’s your turn to share with us! Leave your ideas in the comments section about some things that you like to do with your dog when you’re home and feeling cooped up from the weather.